Pinkeye usually does not affect vision. Infectious pink eye can easily spread from one person to another. 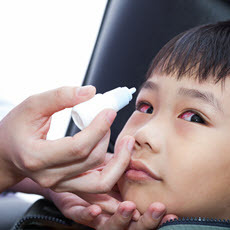 The infection will clear in most cases without medical care, but bacterial pinkeye needs treatment with antibiotic eye drops or ointment. Article: Prevention of Gonococcal Eye Infection in Newborns.